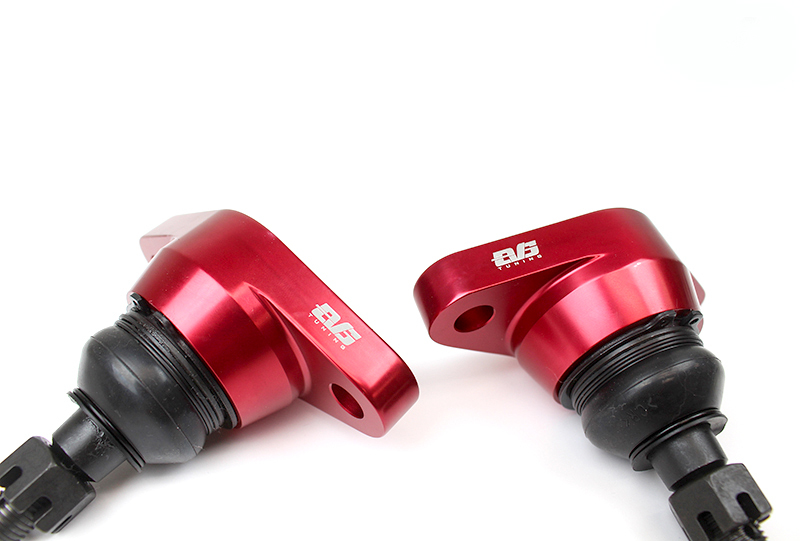 Gain more negative camber in the front with offset camber joints. 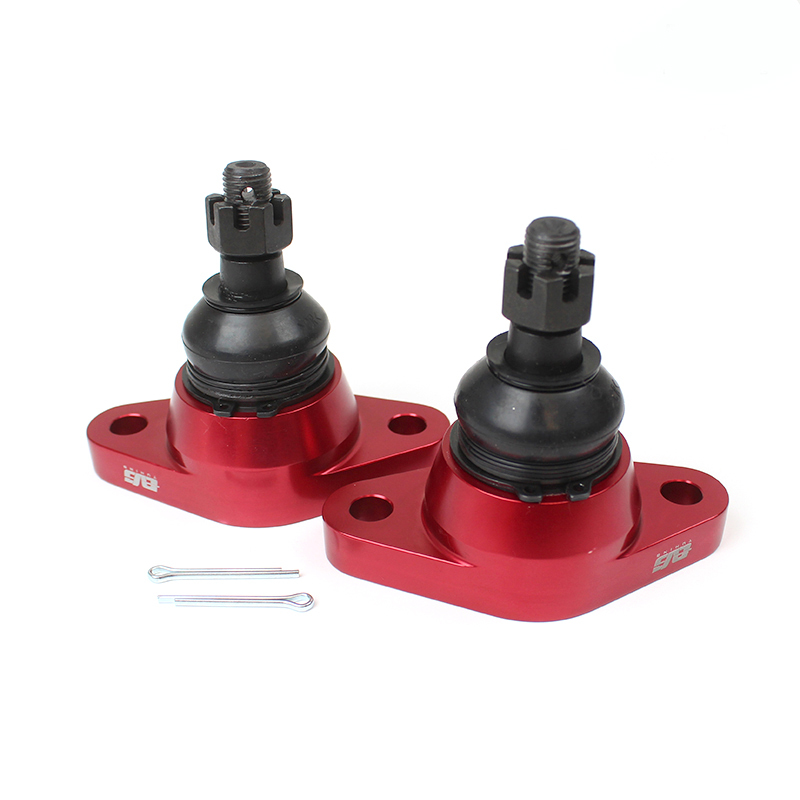 EVS Tuning Offset Camber Joints provides enough negative front camber by locating the lower ball joint at an eccentric angle from the center. The front camber angle can be adjusted to the stock +3 degree. 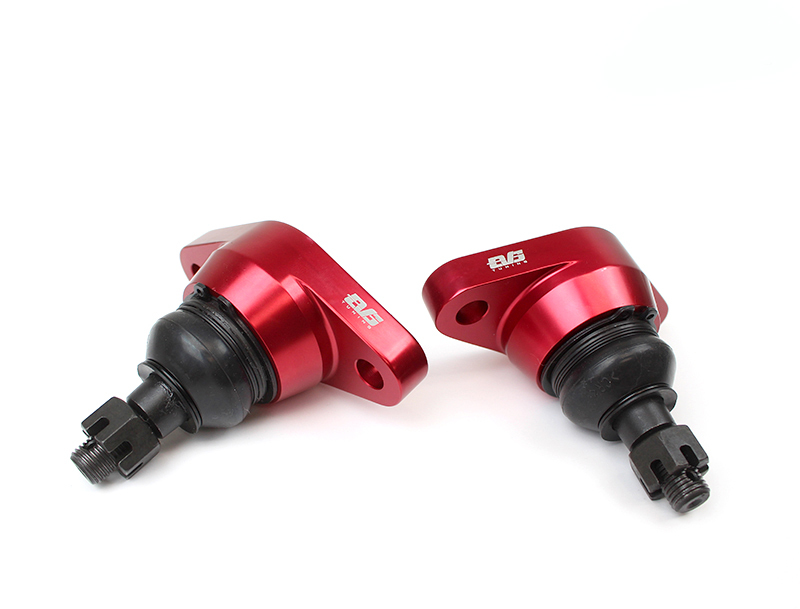 Comes in anodized red forged aluminum 6061 with an engraved EVS Tuning logo.